Description : 2-Channel Relay interface board- Just use 5V input signal to control. You can do some simple design about it. This module can be used with Arduino Special Sensor Shield V4.0. Each relay has a normally open- normally closed contact group. It can control various appliances and other equipments with large current. Equiped with high-current relay- AC250V 10A- AC150V 10A-DC30V 10A-DC28V 10A. This is a 2-Channel 5V Relay Module Shield can be controlled directly by a wide range of microcontrollers such as Arduino PIC ARM AVR DSP. Easy to be controlled by a lots of Microcontrollers( Such as Arduino – 8051- AVR- PIC- DSP- ARM- ARM- MSP430- PLC-TTL logic). 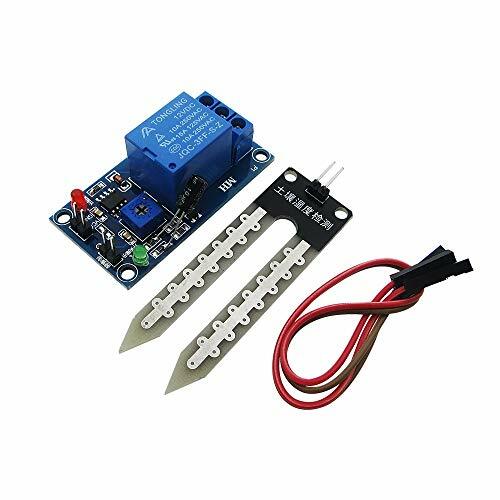 Specifications : Size: 3.9cm x 5.1cm Materials: PCB board and electronic components Package included : 1 x 5V 2-Channel Relay Module Shield Each relay has a normally open- normally closed contact group.